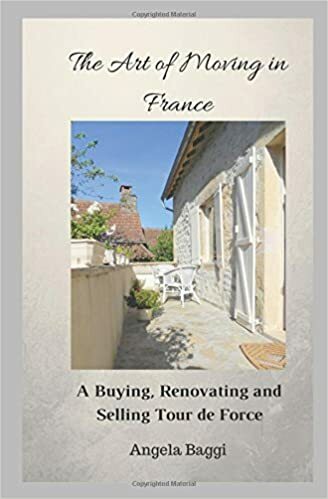 Buying French property becomes more expensive. Buy in 2013! One of the most talked about and hated French taxes is the plus value tax or “la taxe sur la plus value”. The tax is levied when selling your your second home (maison secondaires) in France. It is a capital gains tax on the difference between the buying and selling price. The tax is not levied if your house has been your primary residence for at least two years. After 2 years, it is no longer considered as a second home. Last year, France made some significant changes in the Plus Value tax. Thus, by 1 February 2012 the period during which the plus value will be charged, has been changed from fifteen to thirty years. Furthermore, from 17 August 2012, residents of the EU no longer pay 19% but 34.5%. That is an increase of 15.5%. Residents of countries outside the EU pay as much as 48.8%. These rates have become so high that they aren’t supported anymore. Many advisers are approached to find a solution for this problem. It's always difficult when a structural tax is changed because you have to adjust yourself to the new law. Many people that have owned their home for fifteen years have thrown away their renovation invoices (which can be deducted). They could do so in good faith, but now the invoices are needed. There is not a general solution for this problem, and each case has to be dealt with on a case-by-case basis. It is also unclear whether the recent increase is legally tenable because it consists of social charges. Within the EU, social charges may only be levied in your primary place of residence. Here are also the social benefits. France, however, suddenly raises social charges without corresponding rights. According to many experts, it is quite possible that this increase in the plus value tax is declared illegal. In this context it is useful that you, when selling your home, send a registered letter to the tax office with the message that you retain the right to reclaim the 15.5% when the new tax appears to be in conflict with the law. Without such a letter, you will not be able to recover your money. As before, from the fifth year the tax goes down with a percentage. First with only 2% and finally by 8% per year. Previously it was a fixed rate, but this has been changed in favour of the government. Unchanged is also the fact that you may add up 7.5% to the purchase costs. Unless you have made additional costs, then you may add a higher amount. If you sell your home after at least five years, you may add up 15% to the purchase price due to renovation costs. Even if you didn’t have any renovation costs at all. Again you may add up higher costs but only if you made some real alterations and renovations. Other costs won’t be accepted. Finally, the tax scheme provides a lot of details, refinements and exceptions. These have led to such a complex whole that non-residents are required to appoint a tax representative to draft and submit their tax declaration. The costs of this are high and must be paid by the seller. Only when the selling price is under the € 150,000, the notary will handle this, and he will charge no extra costs.